Roberto Bertolini has a degree in medicine and specialized in neurology at the Catholic University in Rome and in Child Psychotherapy at the Tavistock Clinic in London, where he was for many years a visiting teacher for the program 'Work with disruptive adolescents'. He is a teacher of the Scuola Quadrenniale in Child Psychotherapy of the Centro Studi Martha Harris in Florence, and tutor of the Tavistock model Courses in Observational Studies and Child Mental Health in Italy. He conducts training and clinical supervision for operators of mental health and social services. 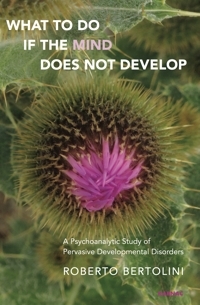 He is also the author of a number of books on child development and primitive psychopathology.